This deal will sell out quickly! 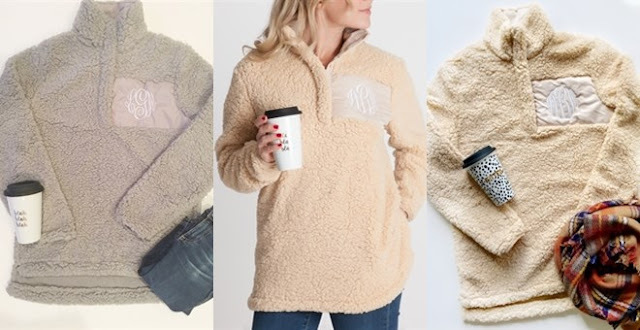 Hurry over and grab this Monogrammed Sherpa Pullover for $34.99 (Retail $54). This is by far the coziest pullover you will ever own! Super soft Sherpa pullover in your choice of black, tan or grey. A perfect gift or snag one for yourself! Roomy and oversized fit. Button placket.